India is on track to reach $5 trillion economy by 2025 by growing at 7-8 per cent every year. To sustain high single digit growth, the country has been focusing on improving road, air and sea infrastructure in a big way. Coupled with Ease of Doing Business, the country is seeing a renewed investment in mobile manufacturing, mobile component and mobile accessories sector in a big way. In terms of mobile penetration, we have now become the second largest mobile penetrated country in the world with a base of more than 1.2 billion mobile subscribers and around 420 million Internet subscribers. All this has led to increased smartphone deployment in the country and leading to No. 1 mobile data consumption country in the world. Not only this the mobile devices segment is expected to witness huge growth by 2020 thanks to 4G revolution in the country which is increasing its geographical reach by penetrating smaller cities and villages in a big way. The Make in India and Digital India program has also provided a big fillip to mobile manufacturing like never before. It is hearting to see the government’s rightful anticipation of private sector participation in a major way to make that happen which has also helped in attracting investments from global players by setting up manufacturing facilities in India. With the government's continued focus on digitisation, we will see a rapid adoption of connected devices market in India. We are also seeing good traction of IoT and M2M devices thanks to India's software powerhouse capabilities. 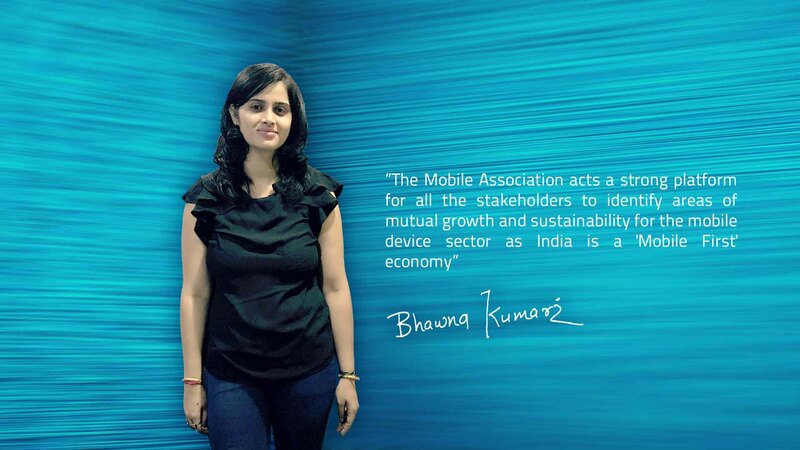 It gives me immense pleasure that The Mobile Association (TMA) has been formed to bring mobile device community on a common platform with the purpose to promote and preserve the interest of wireless devices in India. It is also a privilege to start my tenure as the President of The Mobile Association. I feel honoured to serve a vibrant industry association comprising of outstanding leaders, professionals and entrepreneurs from diverse sections of mobile industry such as mobile manufacturers, EMS/ODM players, chip manufacturers, OS players, app providers, M2M players, IoT vendors, startup community, wearable vendors, mobile accessories, device testing labs and after market players. The Mobile Association’s sole objective is to enable the mobile eco-system growth in India which can further be leveraged by varied industry eco-system for e.g. health, education, finance, government, agriculture and others. The TMA shall act as a strong platform for all the stakeholders to identify areas of mutual growth and sustainability for the mobile device sector as India is a 'Mobile First' economy. The solitary and most important message that I intended to convey is that we all have to lend hands to grow the association and for this I exhort every member to please join me in this cause. I would also urge you to join the association as our member and support the forum. I have no doubts that with support and contribution of all, we shall be successful in seeing the association achieve greater heights and we are able to successfully address matters of common interests. I would love to hear from you as we move along on this exciting journey of bringing together the mobile device industry. Please do reach out to me in case you have any suggestions and ideas which could be of common interest for the association and the mobile industry at large. Looking forward to your continued support and guidance to take this industry to new heights.